Compact dome tents now featuring Coleman's revolutionary patent pending BlackOut Bedroom technology. XXL Bedroom - Coleman® patent pending BlackOut Bedroom® are designed to be more spacious than the average tent bedroom. Weather resistant Fabrics - Specially designed, treated material repels water and protects you and your gear. UV Guard Sun Protection - Certified laboratory testing proves Coleman UVGuard protection fabrics with an SPF50 provide excellent protection against the sun's ultraviolet rays. The Kobuk Valley 2 is a compact dome tent with the added benefit of Coleman’s revolutionary and patent-pending BlackOut Bedroom technology. 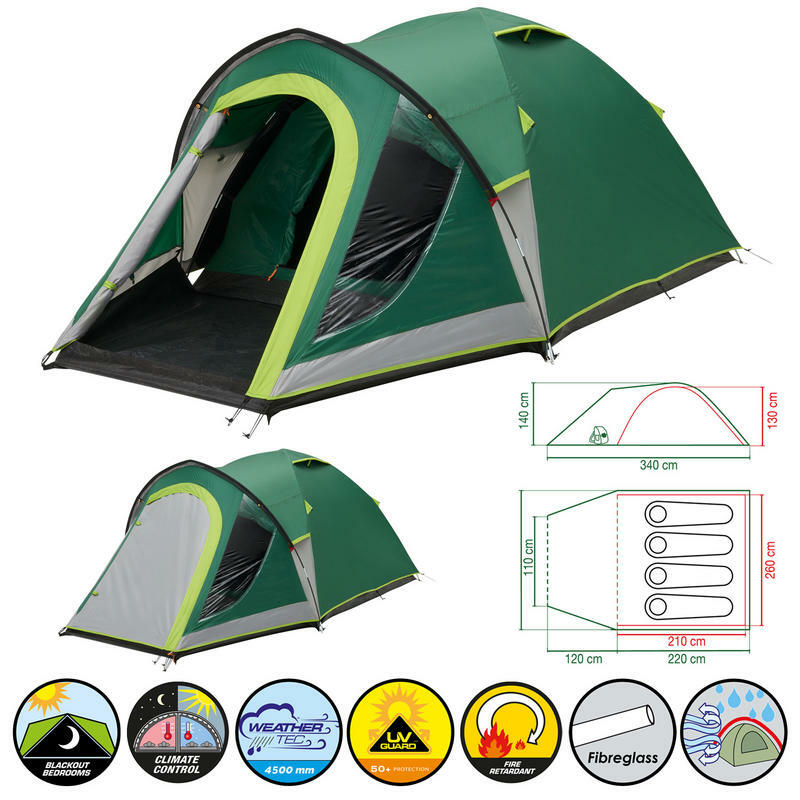 Ideal for weekend breaks or festivals where you don’t want to be awoken at first light, the Kobuk Valley 2 has a quick and easy to pitch, dome construction. The tent’s comfortable sleeping area has ample space for two campers and a handy porch is ideal for storing gear or muddy boots. Coleman’s BlackOut Bedroom technology blocks out 99% of daylight for a restful night’s sleep. Designed to offer reliable protection whatever the weather, the Kobuk Valley 2 features a high-performance, 4500mm rated flysheet paired with wind-responsive fiberglass poles. A fully integrated groundsheet guarantees a clean, dry and bug-free environment inside the tent and large ventilation panels reduce the risk of condensation. 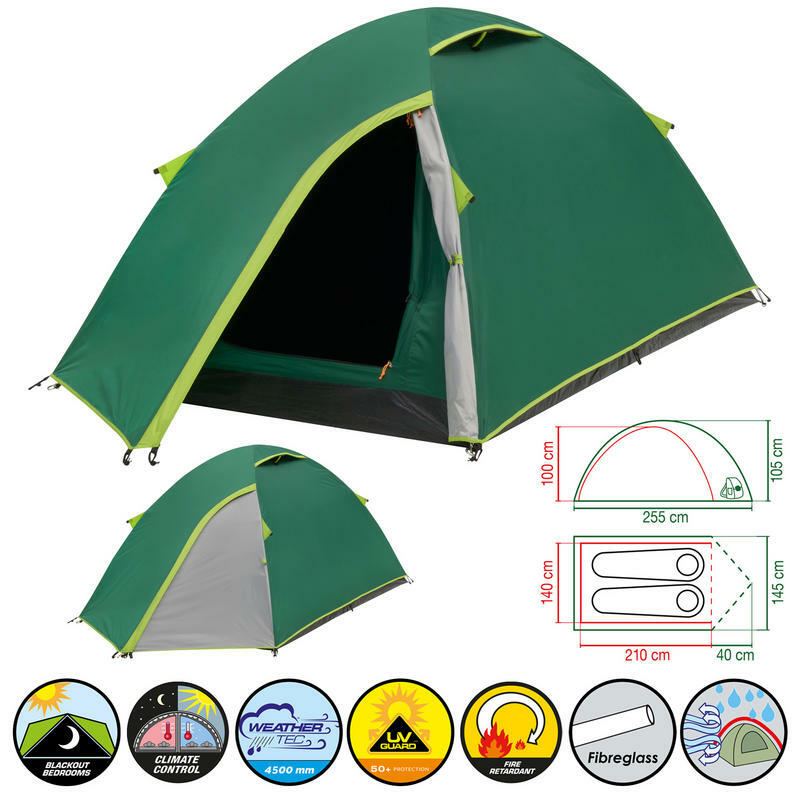 For peace of mind, all of the tent’s fabrics are fully fire retardant and the flysheet is treated with Coleman UVGuard™ that offers SPF50 protection from the sun. The ultimate home from home for weekends on the campsite or at festivals, the Kobuk Valley 3 Plus is a practical extended dome tent with a large porch and comes complete with Coleman’s revolutionary BlackOut Bedroom technology so you won’t wake at first light. 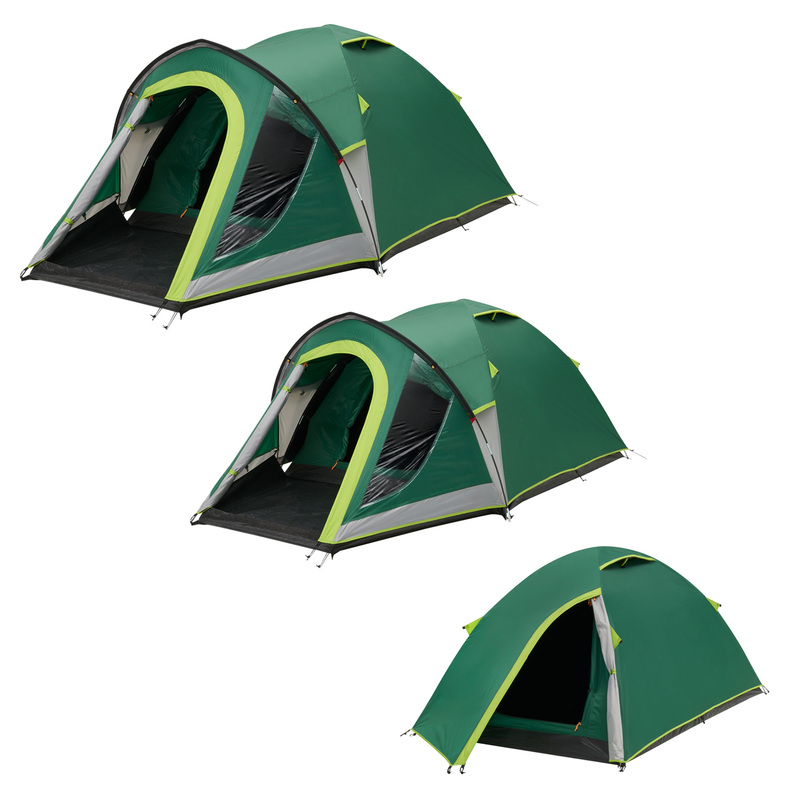 Easy to pitch, the Kobuk Valley 3 Plus has a stable dome construction with a peaked porch area that ensures optimum head height. The tent’s large front porch with PVC windows provides a bright and practical area to store gear. Offering comfortable accommodation for up to 3 campers, the spacious BlackOut Bedroom provides a temperate and darkened sleeping environment. Designed to stand up to the elements, the Kobuk Valley 3 Plus pairs strong yet light, fibreglass poles with a high-performance flysheet that features an impressive 4500mm hydrostatic head. Ventilation openings offer good air flow and reduced condensation. A riser PE groundsheet in the porch and fully integrated bedroom groundsheet ensures clean, dry and bug-free camping. With its sturdy plastic carry case, this stove can be easily and safely transported and stored, while its integrated piezo ignition system is simple to use and extremely reliable. Featuring an easy clean fixed enamelled pan support for additional stability. It also features a cartridge safety locking system for correct and safe cartridge insertion every time.